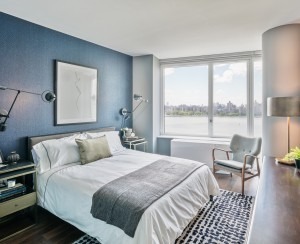 Smart design is important in all New York apartments, but in studios—where you're usually living in one rectangular room—it's even more crucial to wring as much use as possible from the space you have. 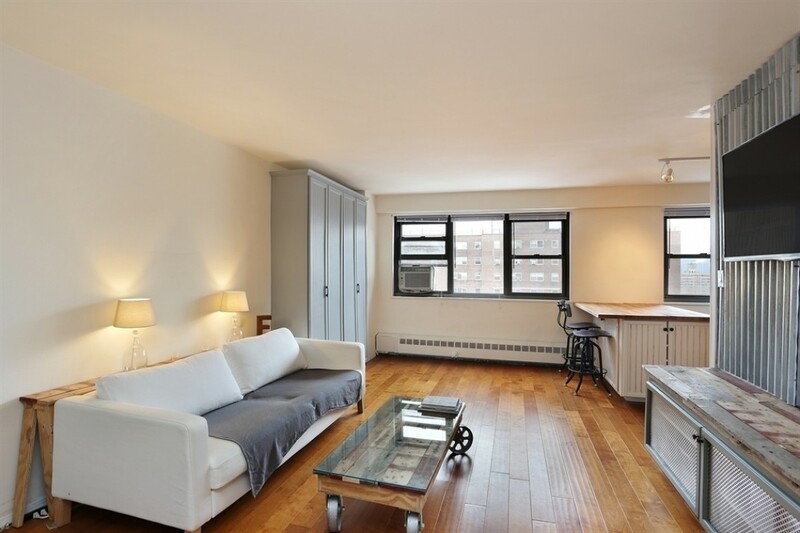 That's why this Downtown Brooklyn co-op studio, asking $325,000, grabbed our attention. Moving along to the rest of the apartment, you'll find a ton more built-ins, including an area by the front door and under the TV. The one thing that's slightly deceptive about these photos is the lack of a bed anywhere in the apartment. We're guessing it's a Murphy bed folded up into the large, grey cabinet (see the main photo, above), but if you don't have this kind of set-up, the place could get tight. The living room is only 12.6 feet wide. Still, it has four closets, including a linen closet, which will help keep clutter at bay. The bathroom is small, simple and sleek, a lot like the rest of the apartment. Known as Concord Village, the building at 230 Jay Street, between High and Tillary, has landscaped grounds with sitting areas and a dog run (a welcome perk for those times when you need to get out of your studio).The pet-friendly, elevator building also has a 24-hour doorman, shared roof deck, gym, bike storage, laundry room and a parking garage (with a wait list). And the price seems pretty standard, too, since, according to StreetEasy, comparable apartments in the area sold for an average of $311,000 over the last 90 days. 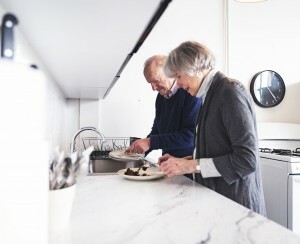 Want a bigger apartment immediately? Add a Manhattan Mini Storage room to your life! Free move, free shelves and up to 20% off when you rent a unit for four months or longer.